Q: The houses across the street from us are very likely using the premises as an illegal short-term vacation rental. They let out like they are letting friends stay there, but I don’t really believe it. No one has that many friends good enough to turn over their home to for free. How are we supposed to handle a situation like this? A: Cracking down on illegal short-term rentals and building more long-term, affordable housing continues to be among my top priorities. 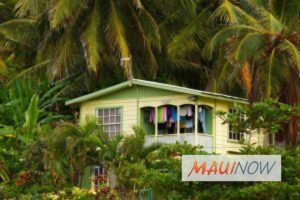 Maui County’s Zoning and Enforcement Division monitors for all permitted and illegal vacation rentals. Residents can do their part by submitting a Request for Service if they suspect an illegal rental. The RFS process serves as the county’s one-stop information and assistance program that can help answer county-related questions and help address issues with county services. To report illegal rentals, visit https://www.mauicounty.gov/1776/Request-for-Service  or call the Zoning and Enforcement Division at 270-7253.